Fried chicken comes in so many forms within The Project, I think of the Colonel's Original, Crispy, Extra Crispy versions. I also think of the Pickin' Chickin' or Kentucky Fried Chicken memories many of you have shared throughout the time I've been working on The Project. 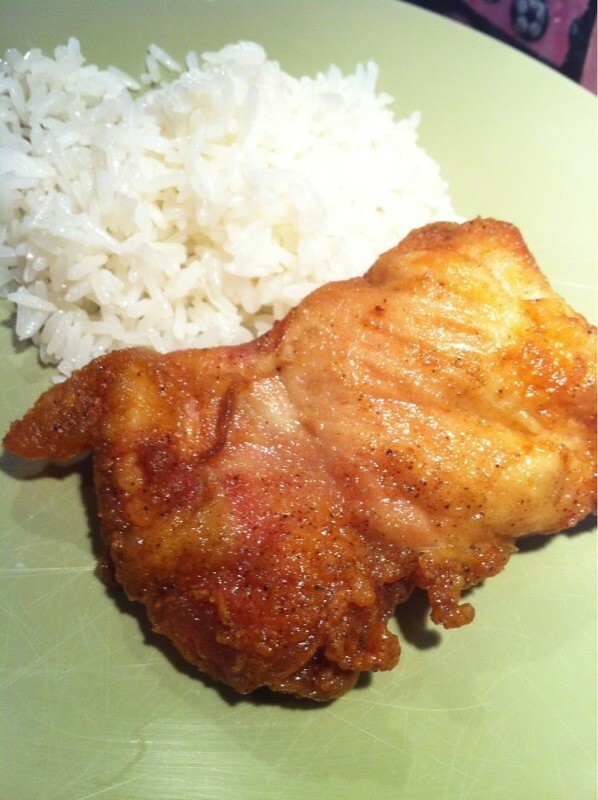 I've made the Original (Pollo Frito a la Criolla) and Extra Crispy (Pollo a lo Miami) and just now made the in-between, or just Crispy (Recipe #145: Pollo Frito a la Americana). My favorite? Well, it really depends on the mood that you're in. The difference in each is the coating but the one common factor is the frying. The Criolla tastes like home with our traditional Cuban flavors. The Miami reminds you of the fast food chicken you'd take to the beach. The Americana falls right in-between and gives you a taste of both worlds. 1. 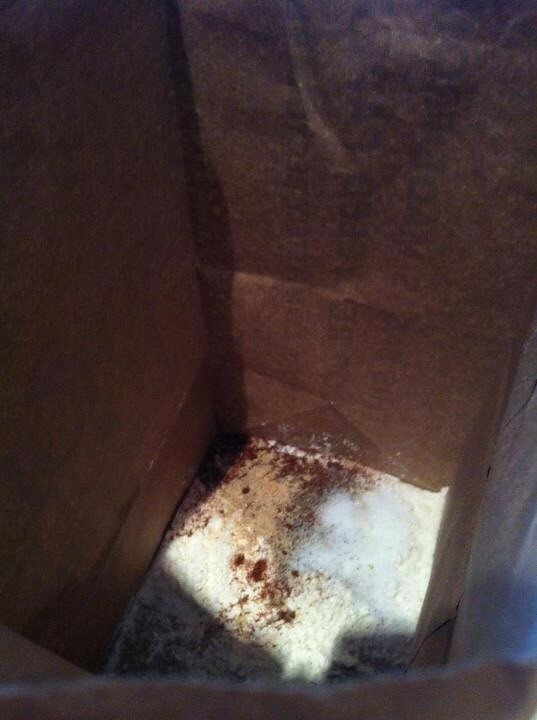 In a brown paper bag, mix the flour and spices. 2. 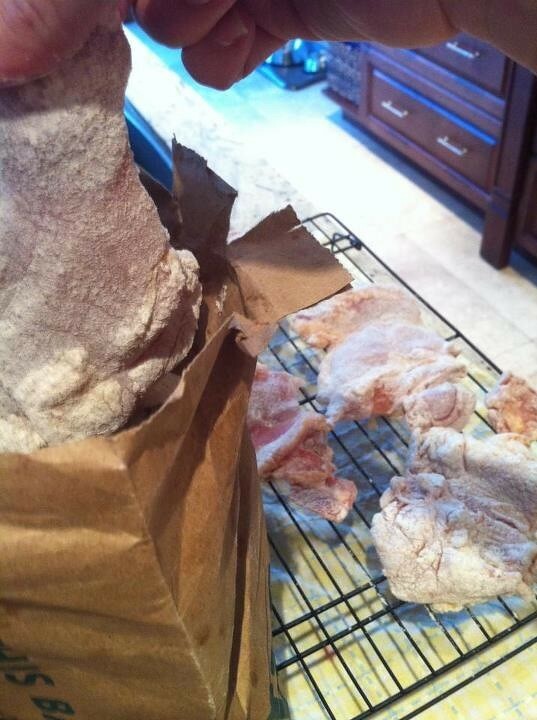 Add a few pieces of chicken to the bag. 3. 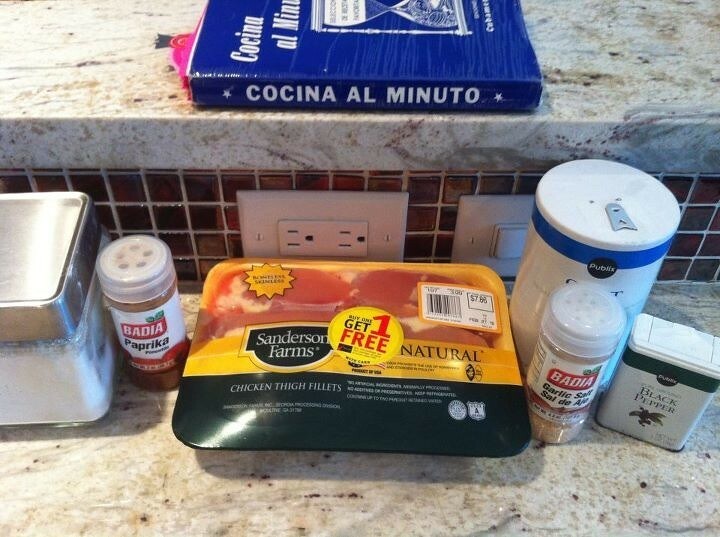 Close the bag and shake in order to coat the chicken with the spices and flour. 4. Place coated pieces of chicken on a wire tray in order to let the coating adhere well to the chicken. 5. Repeat steps 2-4 until all pieces have been coated once. 6. If you have remaining dry ingredients in the bag, repeat steps 2-4 to create a second coat. 7. Heat a quarter inch of oil in one (or two) frying pans. 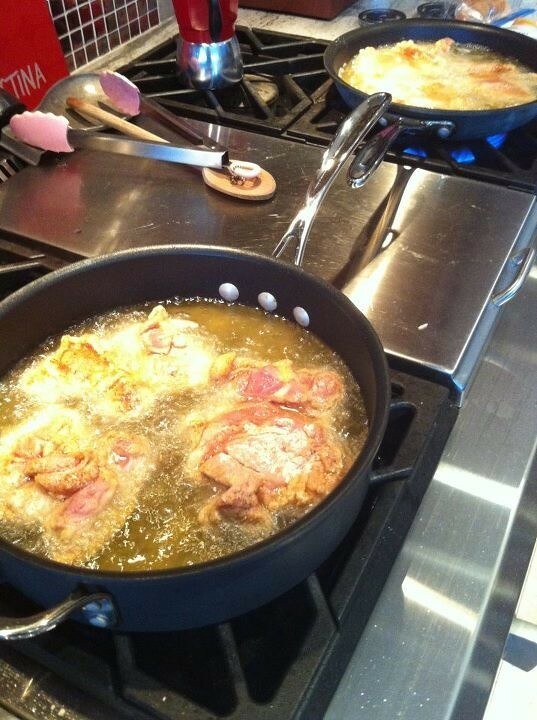 It is best to cook all chicken pieces at once so use a second pan if all pieces don't fit in the first pan. Do not overcrowd your pans. 8. When the oil is hot, lay each chicken piece in the pan. The oil should begin to foam when each chicken piece is introduced. 9. Cook until golden over high heat, five minutes on each side. 10. After the ten minutes on high heat, lower heat and cover each pan. 11. Cook on low for 30 minutes. 12. 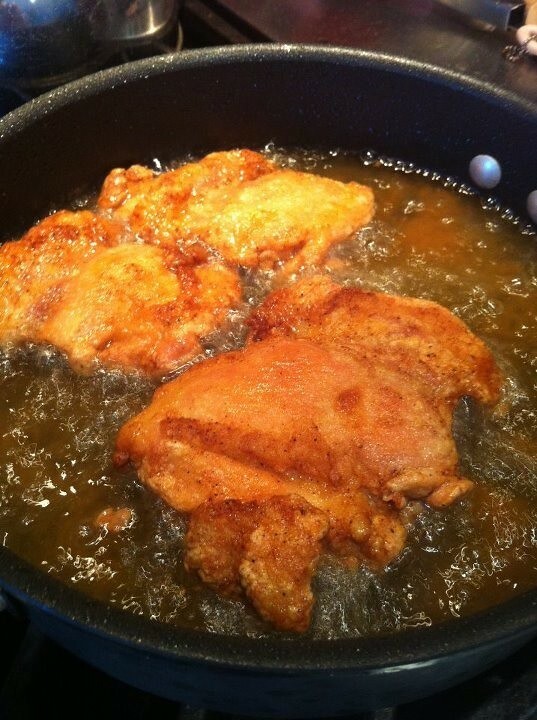 Remove cover and cook for an additional 10 minutes so that the liquid evaporates and chicken is crispy. We're into the second Easter for The Project and it was quite a challenge to not repeat some of last year's favorites such as the Arroz a la Indiana and the Rollo de Jamón con Piña. For brunch this year, I divided and conquered the full menu - beverages, appetizers and desserts were assigned to the family and I took care of the platos fuertes (main dishes). 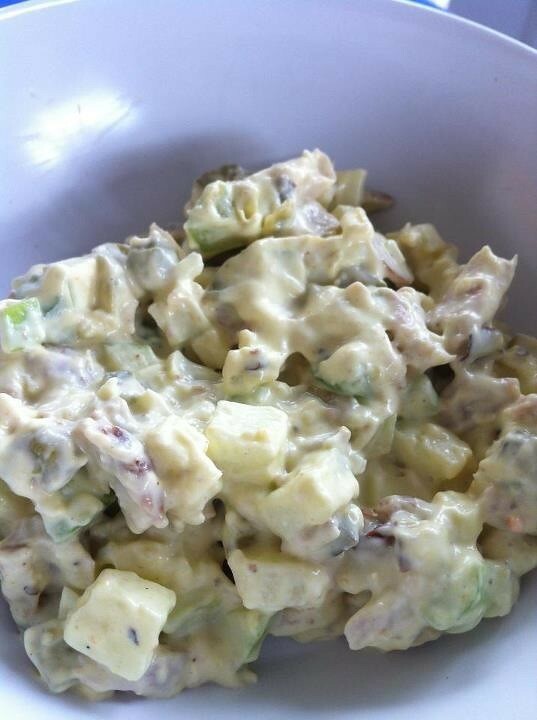 Recipe #336: Ensalada de Pollo Suprema, a potato-less (yes, Cuban sacrilege) chicken salad. Recipe #78: Ladrillo de Carne Fria is not the traditional Carne Fria that is mostly remembered as being served in round discs atop saltine crackers. This version is baked into a loaf and includes hard boiled eggs surprisingly nestled inside. Recipe #400: Doble Delicia de Chocolate, a double-layer mint chocolate cake with a mint chocolate frosting between the two layers and on the outside. All beautiful and delicious in their own right. The best part? I was able to make them all the day before so that I could enjoy the family and the kids' festivities. Although my cousin and I have our Easter Brunch pact - she handles the outside (Easter Egg Hunt and crafts for the kids) and I handle the inside, I did want to step outside and enjoy her hard work with frenzy of a dozen kids. What a crazy fun time they all had, and the food was just the backdrop. Just as it should be. 1. 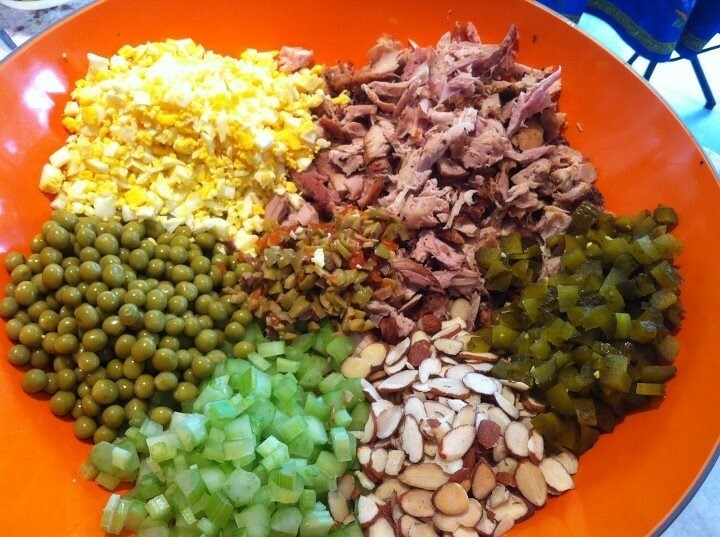 In a large bowl, mix the chicken through the olives. 2. 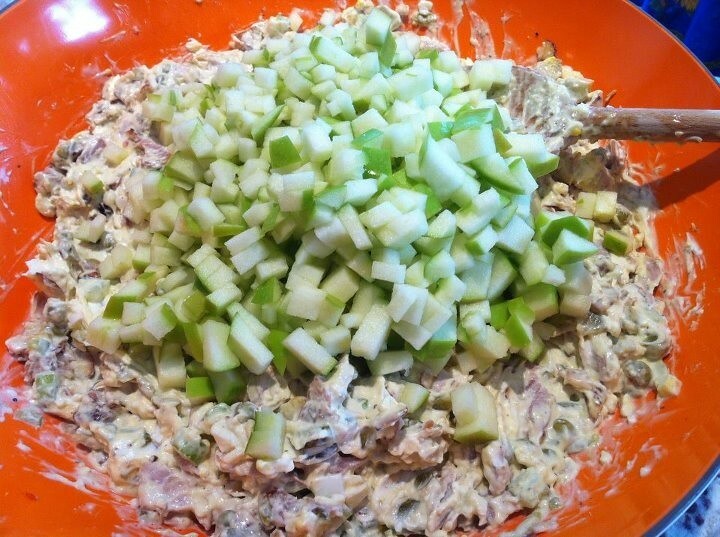 Add the cream cheese and mayonnaise. 3. 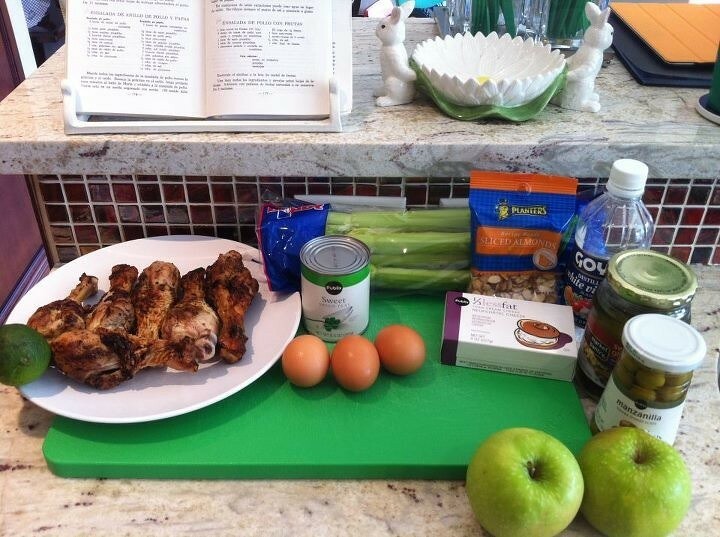 Add the salt, vinegar, apples and cover with the lime juice (to avoid browning). 4. 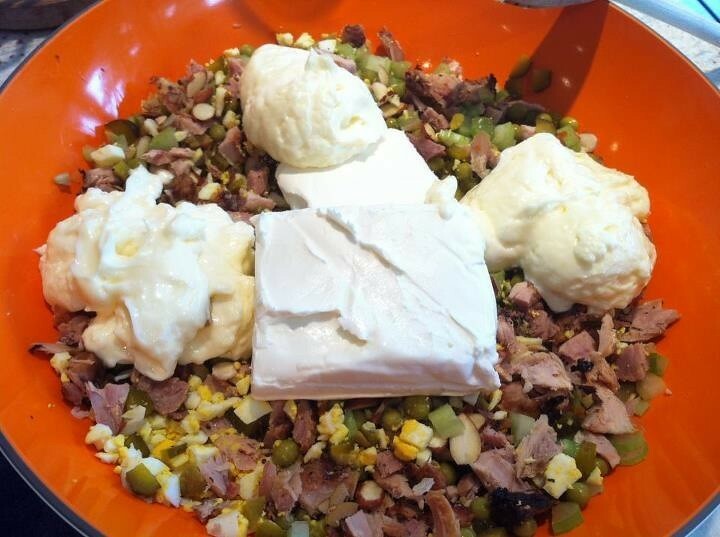 Mix all ingredients well and place bowl in the refrigerator. 1. 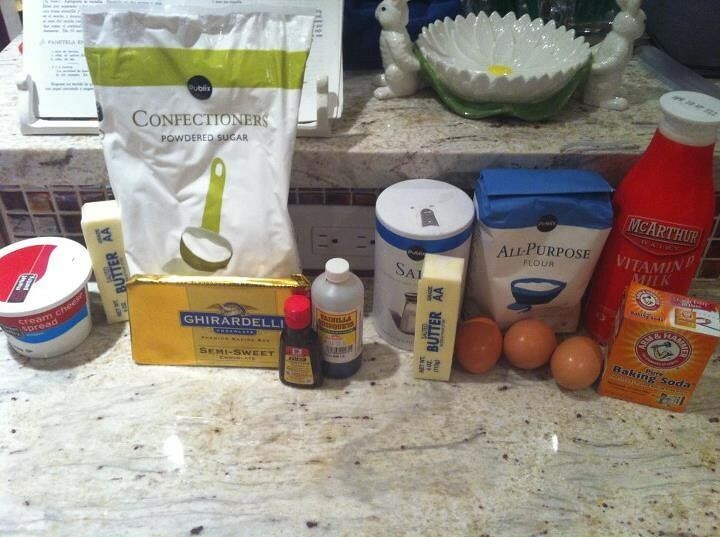 To start on the frosting, beat the cream cheese, butter, vanilla and mint in a bowl. 2. 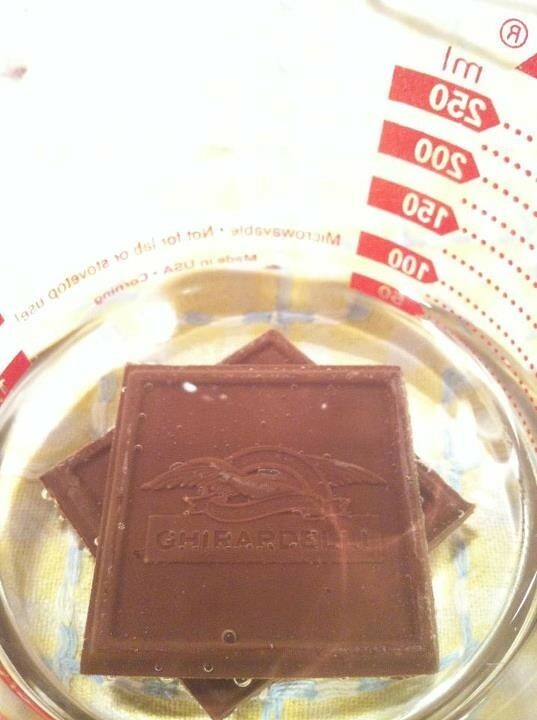 Melt the chocolate pieces in the hot water. 3. 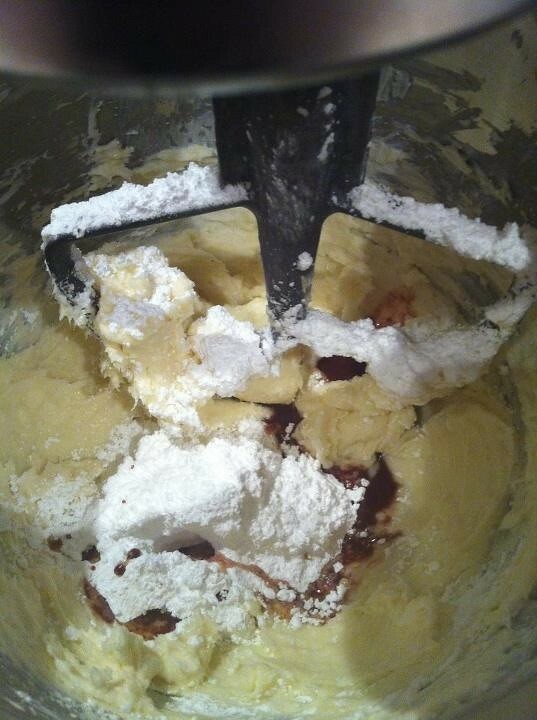 Alternate beating in the powdered sugar and melted chocolate to the frosting. 4. 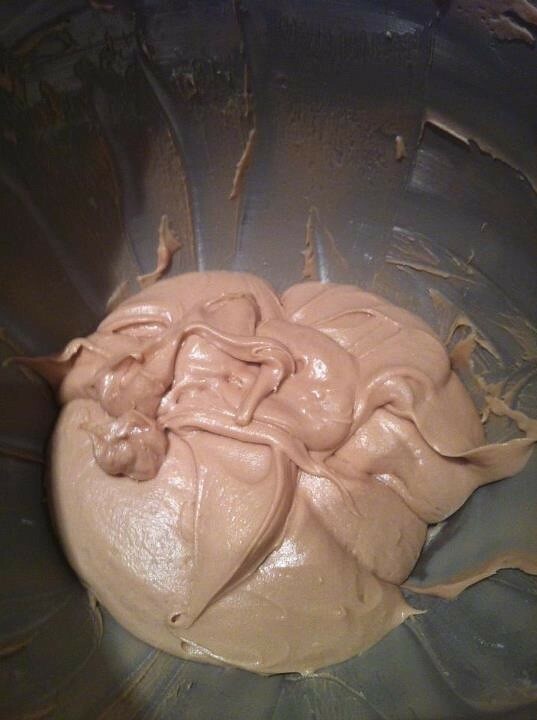 Set aside two cups of the frosting and put away the rest in a container. You can place the container with frosting in the refrigerator at this point if you are going to frost it later. Bring the frosting to room temperature before using it to cover the cake. 5. 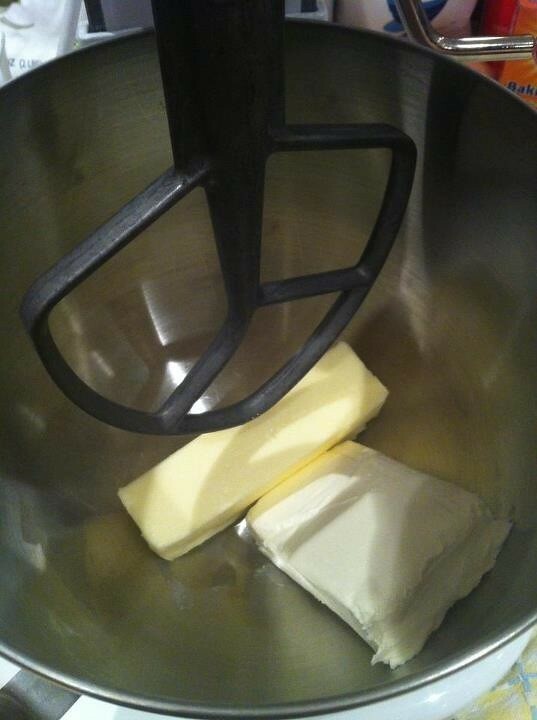 Using the same bowl, beat the two cups of frosting with butter. 6. 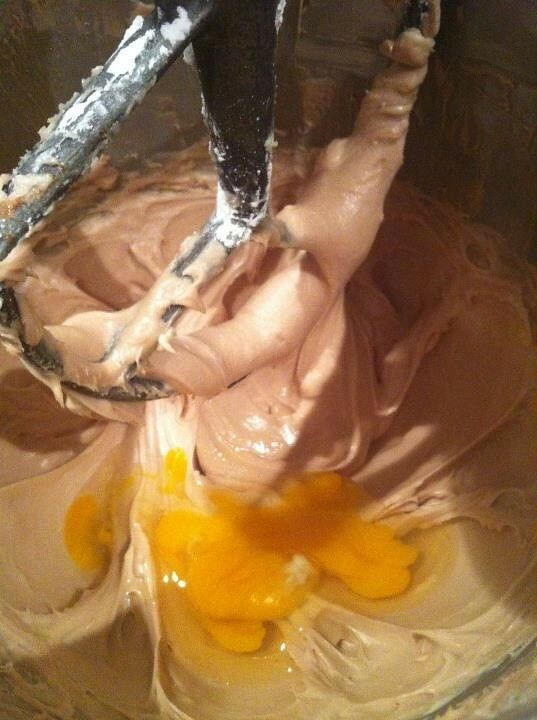 Add eggs, one at a time, mixing well after each one. 7. 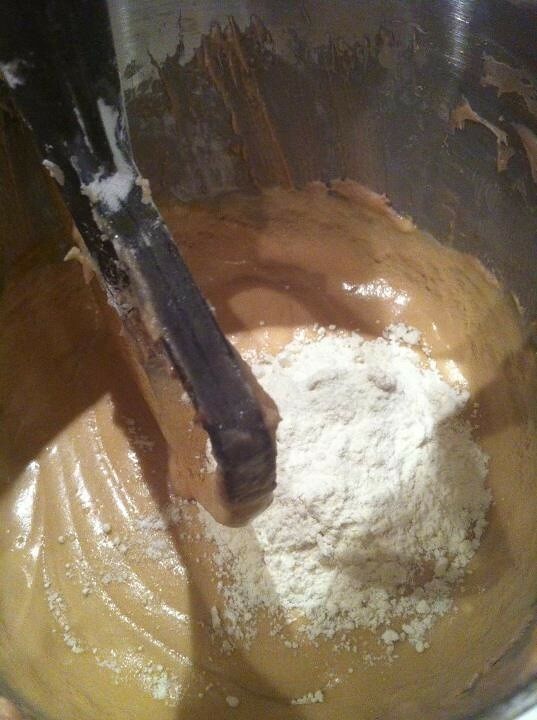 Add the dry ingredients, alternating with the milk, to finalize the cake batter. 8. 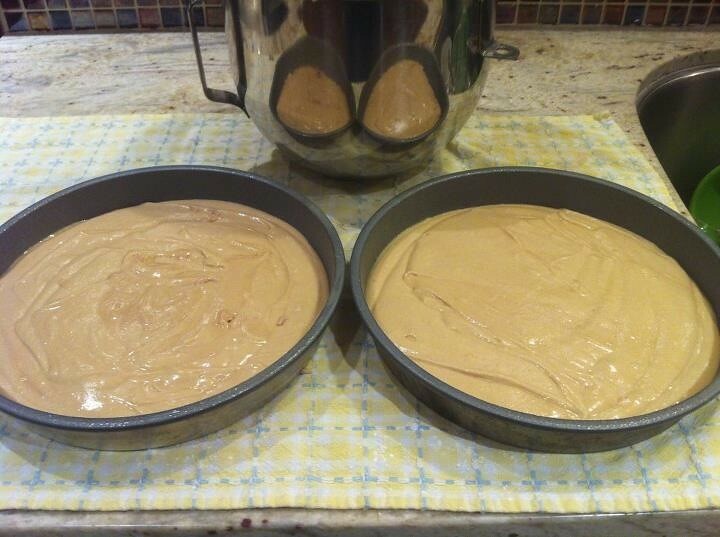 Turn the batter into two 9" round greased and floured cake pans. 9. 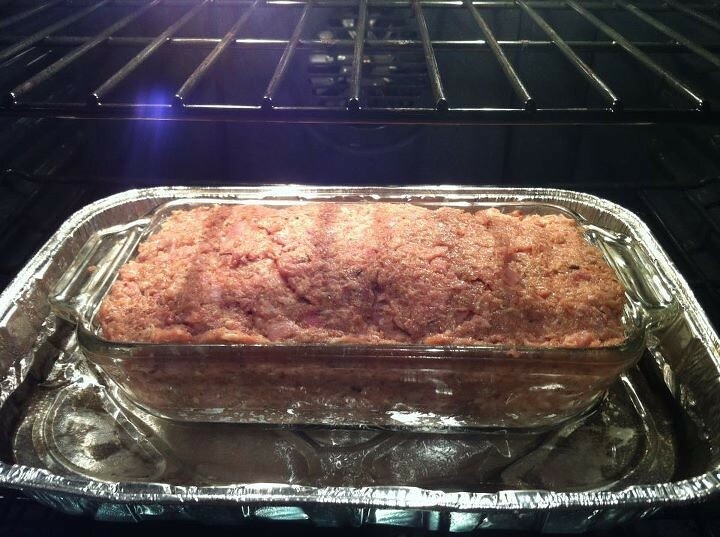 Bake for 40 minutes at 350 degrees. 11. Place one cake on a serving dish. 12. 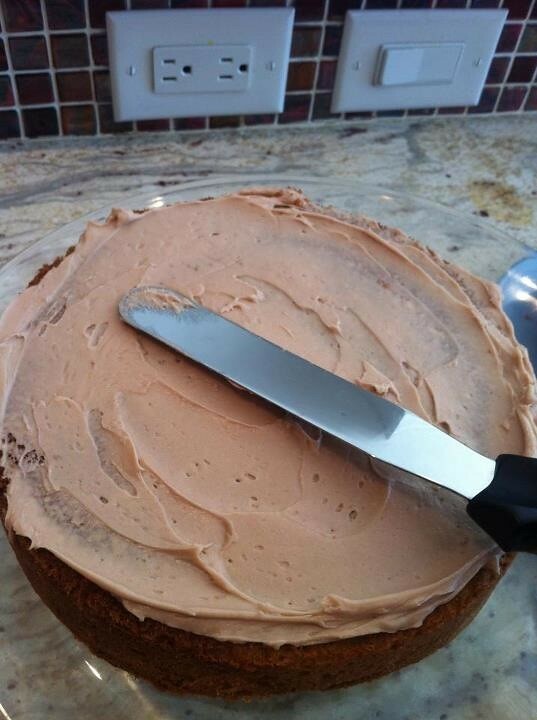 Spread the top of the cake with frosting. 13. 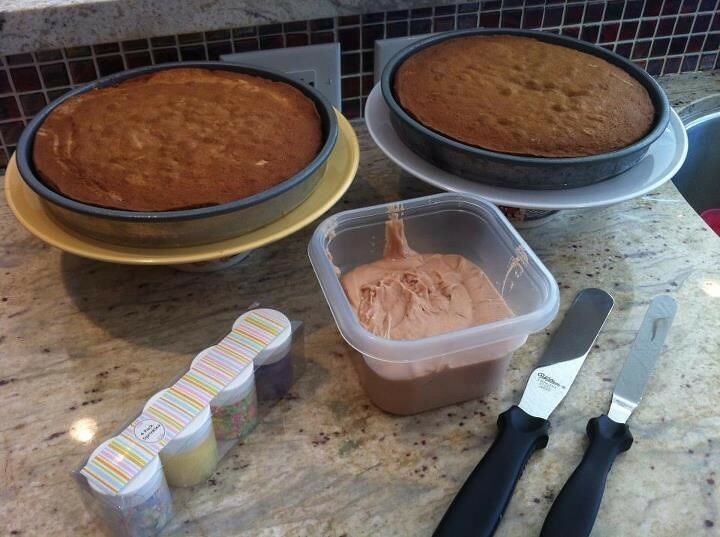 Cover the frosting with the second cake. 14. 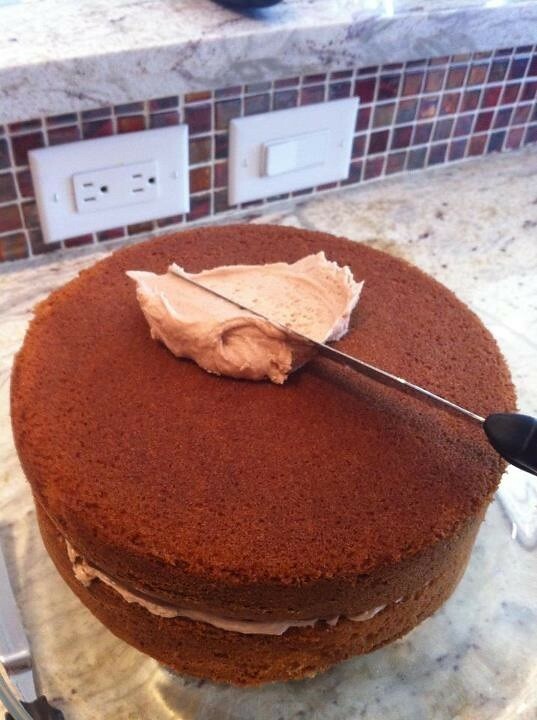 Spread the frosting over the top and sides of the full cake. 15. 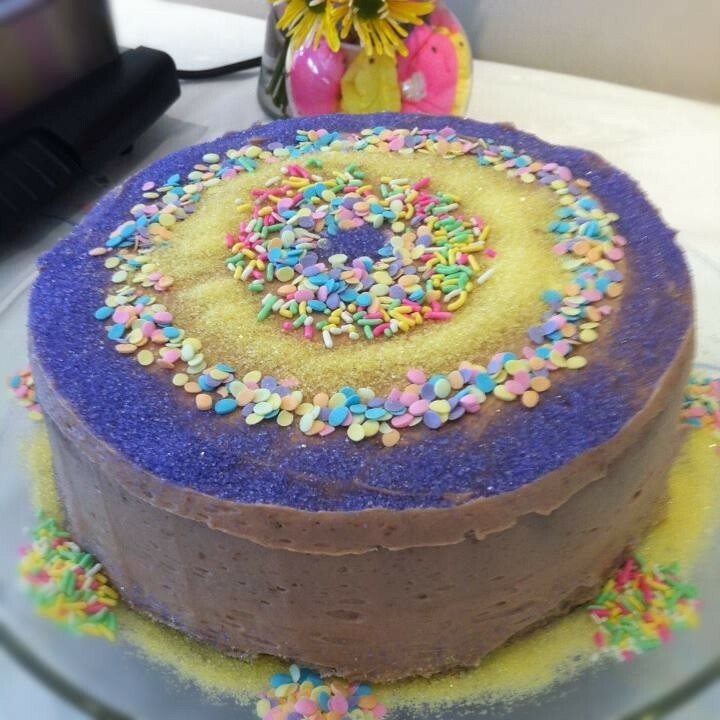 Decorate with sprinkles, mint leaves, chocolate shavings or any toppings you'd like. 2. 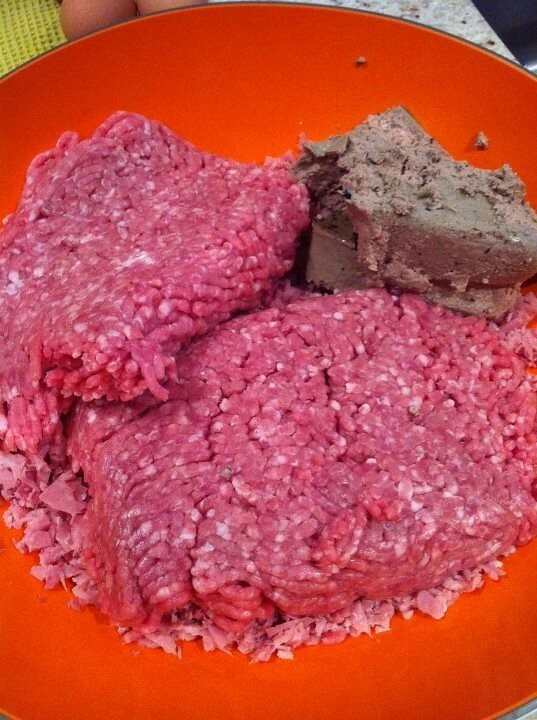 Mix the meats, including the foie gras. 3. 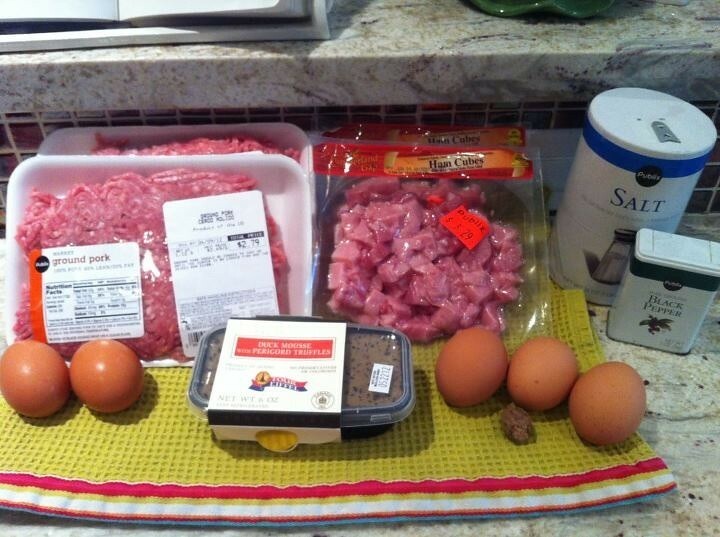 Beat the eggs and add to the meat. 4. 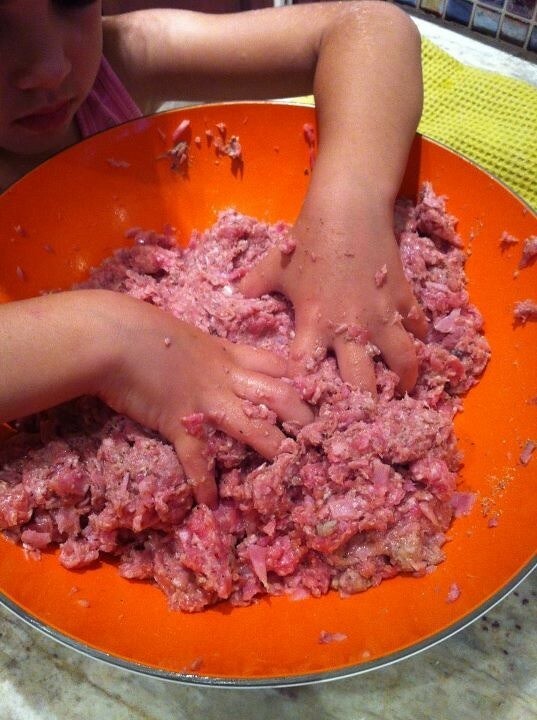 Add the salt, black pepper and nutmeg and mix well together. 5. 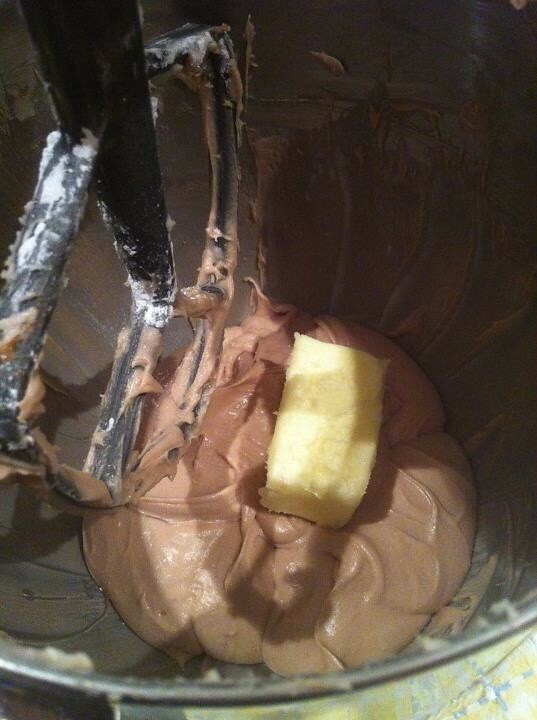 Add half the mixture to a glass 9"x5"x3" Pyrex. 6. 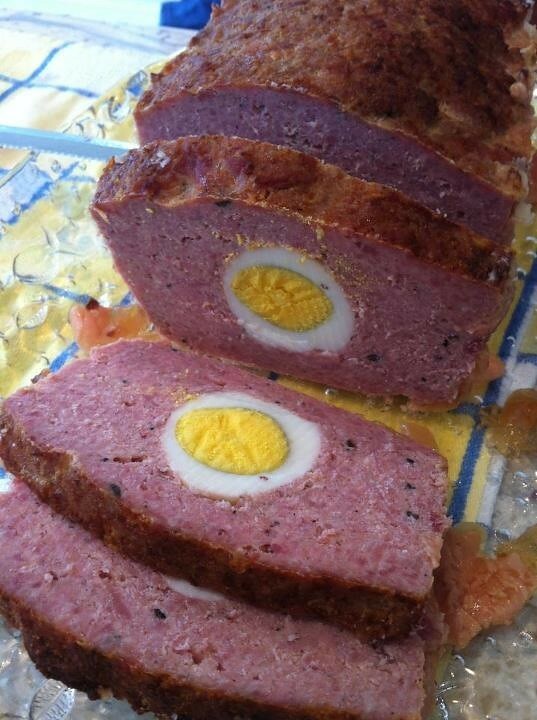 Place the hard boiled eggs on top of the meat. 7. 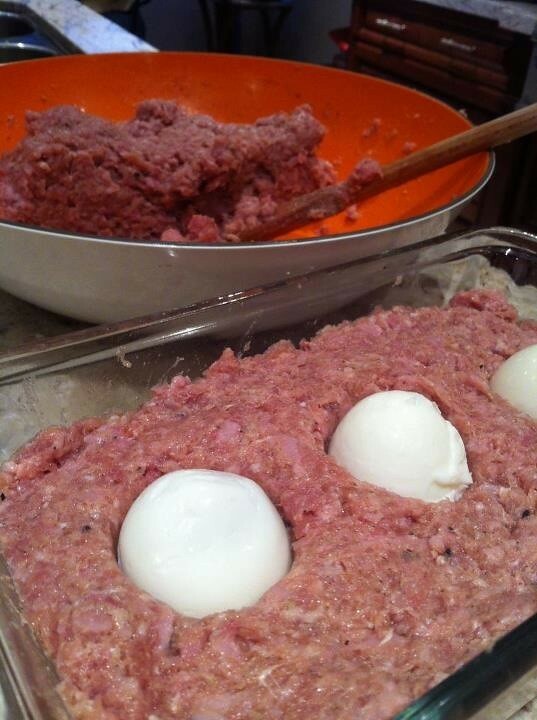 Cover the eggs with the rest of the meat mixture. 8. Bake inside a larger Pyrex, filled with 1" of hot water for an hour and a half. 9. Let cool and place in fridge.